On Friday August 19, 2011, the Guatemalan Central Adoption Authority (CNA) published in the Guatemalan government's official register a new processing framework for the limited group of pending U.S. adoption cases that are under CNA processing authority. The CNA's announcement affects only the small group of pending cases that are under CNA processing authority. The CNA's announced framework does not apply to cases being processed by the Procuraduria General de la Nacion (PGN) as "notario" cases. Going forward, more cases may shift from PGN to CNA processing authority and this framework would then apply. The CNA requires additional information about the prospective adoptive parents to move forward with the cases. Department and USCIS officials are working closely with CNA officials to clarify all details of the new procedure in an effort to ensure that cases will move forward successfully. As soon as we have a fully defined process we will provide additional information. With weak law enforcement, can foreigners adopting children from Nepal be sure that they are really orphans? Orphaned, abandoned or trafficked? That is the question facing foreigners who wish to adopt Nepali children. International adoption services have provided a lucrative business to poverty-stricken Nepal. But in 2007, Nepal stopped adoptions for two years as it investigated claims of child trafficking. After adoptions resumed, law enforcement remained weak. By the end of 2010, many countries including the US, stopped granting visas to children from Nepal. This was in response to unscrupulous agents falsifying children's status as orphans so they could be adopted overseas. Today, loopholes remain in Nepal's adoption processes and the government has been slow to formulate new policies, creating more problems for children in orphanages. 101 East investigates the scam behind an industry borne from the desire to love a child. The USCIS National Benefits Center (NBC) invites any adoptive parents, adoption service providers and any other interested parties to participate in a national stakeholder meeting on Thursday, October 13, 2011 at 1:30pm (CST). The purpose of this engagement is to provide information regarding the steps that should occur with USCIS after a family returns home to the United States with their adopted child. This session will have a specific focus to adoption service providers and adoptive parents relating to the international adoption process. During the session, USCIS will review the final steps in the adoption process which happen after you bring your internationally adopted child to the United States, and provide contact information and resources to aide in the process to ensure your child receives U.S. Citizenship and all the benefits that they are eligible for. Any interested parties may participate in this event by telephone. To respond to this invitation, please contact Community Relations Officer Ya-Mei Chen at nbc.communityrelationsofficer@dhs.gov by October 11, 2011. Please reference NBC Adoption Teleconference in the subject line of your e-mail and include your full name, the organization you represent and if you would like to be on NBC's stakeholder list in the body of the e-mail. We look forward to helping you ensure your child gains all of the benefits for which they are eligible for! The effects of China's scandals and in intercountry adoption are now being felt by the families and children adopted from China as they attempt to come to grips with unanswerable questions of identity and corruption. 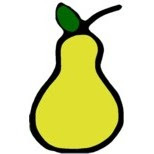 The New York Time's ran an article September 16th quoting PEAR board member, Karen Moline. Karen will also appear on MSNBC today at 12:30 to discuss this topic. A leading Armenian media outlet has reported continued corruption in Armenian adoption and has fingered two US adoption Agencies, Hopscotch and Adopt Abroad as participating in corrupt practices. The information came from a governmental report released on intercountry adoption in Armenia. The Armenian government is planning to make fresh and potentially far-reaching changes in its rules and procedures for international adoptions of children from Armenia following an RFE/RL report suggesting that they may still be riddled with corruption. On September 2, 2011, the Council on Accreditation made the decision to temporarily suspend Saint Mary's International Adoption for failing to maintain substantial compliance with the Hague accreditation standards. Saint Mary's International Adoption is a Hague accredited adoption service provider; however, they are authorized to operate in both Hague and non-Hague countries. This agency operates in Bulgaria, Poland, and Ukraine. During this suspension, Saint Mary's International Adoption must cease to provide all adoption services in connection with cases covered under the Hague Convention. If you have an open case with this agency, please contact the adoption service provider directly to find out how this will affect your case. This suspension does not prohibit the adoption service provider from providing adoption services in connection with cases involving non-Hague countries. The suspension will begin on September 2, 2011 and conclude when the accrediting entity has determined that the adoption service provider has completed the corrective action. Updated information will be provided on the adoption.state.gov website.